No matter how many times it’s asserted, our brains are not computers. It’s not uncommon to compare the brain to the currently favored technology. Our brains have been compared to many different inventions throughout history, from clockworks to telephone switchboards. Our understanding of the brain has grown, and there are parallels between a brain and a computer. Both can learn and adapt, have short term and long term storage, and can be modified (known as neuroplasticity in the brain). Both can suffer irreparable harm if damaged, but through all these similarities our brains are not computers. Two comparisons that support the brains are computers mythos is data storage and signal relays. Though similar in function, the brain and computers accomplish these tasks very differently. Take long term memory for example. A computer stores the data on a magnetized disk, where data is stored as a binary switch of either 1 or 0. The data is stored linearly, so the word “brain” is 01100010 01110010 01100001 01101001 01101110, which is five bytes of a twenty kilobyte document. This is a symbolic representation of data that computers store, retrieve and process. Our brains do not do that. Brains use neurons to store information. These dendritic structures have arms that interconnect with other neurons and tissues. The connection points are called synapses. The neurons can be on and off by firing an electrochemical signal down a dendritic arm to the next neuron; this is called an action potential. Unlike a computer, the dendritic nature of neurons creates a web of interconnected cells but, the human brain does not store data. Robert Epstien, a senior research psychologist at the AIBRT in California, demonstrates this by asking students to draw a dollar bill from memory. Of course, the drawing is a metaphor at best. He then places a dollar bill in front of the student and asks for a second drawing, which is much more detailed. This experiment shows that humans are much better at recognizing than we are at recalling. Research has been aimed at studying the nebulous 86 billion neurons in our brains and the complex neuroelectric communication between groups of neurons. 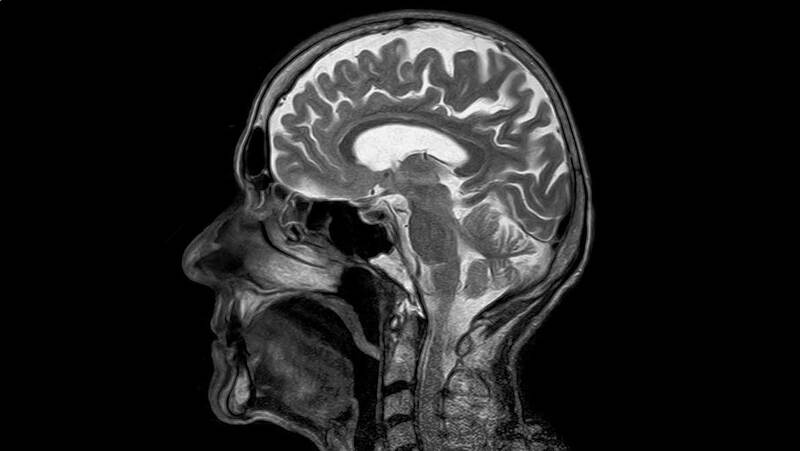 Established methods, like functional magnetic resonance imaging (fMRI), allow for analysis of the brain in a resting state. The subject is shown pictures for an allotted amount of time while the brain is imaged; this identifies which groups of neurons are activated in response to stimuli. Data from fMRI monitor blood-flow on a specific time-course; however, electrical impulses are much faster and the brain is not always in a resting state. A new technique is emerging for decoding the electrical potentials from the brain. Previous methods were dependent on experiment timing. The researchers from Stanford University, University of Washington, and NASA’s Johnson Space Center stress that real world experiences are spontaneous. They designed their experiments to monitor subjects while they perceive visual stimuli with hopes in developing a spontaneous decoding of electrical impulses. In the study, patients suffering from severe epilepsy that could not be treated with medication underwent surgery to implant stabilizing electrodes in the temporal lobes. Since the patients were to receive implants either way, the implants were given the extra task of monitoring brain impulses. The implants were spatially arranged to monitor groups of neurons simultaneously while the patient was exposed to stimuli. In this experiment, the patients were shown a rapid series of images of either houses or faces. The images would remain on screen for 400 ms and were randomized with blanks in between images. Over three experimental runs, the patients viewed 300 images. The researchers found that they were getting different responses from the electrode locations. Some responded more towards houses over faces and vice versa. The researchers then tried to predict what the patients perceived. The first two experimental runs were training sets for an algorithm that was applied to the third testing run. The research team was able to predict the subjects’ responses with 96% accuracy within 20 ms of applied stimuli. The authors also note that the 4% miss could be due to patient inattention from viewing multiple stimuli.